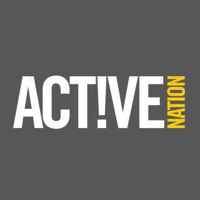 Alpine Active Nation have three slopes at the Centre each with their own lift, mist system and are all fully floodlit so we’re open until 10pm most days. They also have a small ski shop on site for those last minute accessories you need! Be sure to come and use the slopes on a snowy day – Skis, snowboards and donuts all go like bullets, you’d better hope you’ll stop before the end of the slope! Whether you’re skiing, boarding or donutting, young or old, learning skills or honing them, you’ll love it – our Supporters think it’s fab, and there’s no higher recommendation than that. Let the kids try something a little different this summer! Alpine sports in Aldershot have a range of activities for ages 4yrs-Adult. My Eldest has been to this camp a number of times (and is booked on again). They get to do a full day of snow sports. including ski lessons, Snow boarding lessons, Xbobs and Donutting too. Its a great experience and exercise! 2 hours per level, Improve and learn new techniques.